Great boating community with deeded pier space and boat launch!! Plenty of room to store your boat and water toys on the side of the garage or on the oversized driveway. 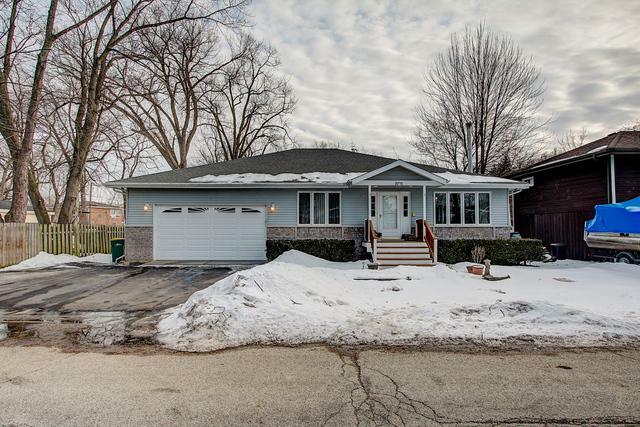 Amazing wide ranch home on a quiet street. 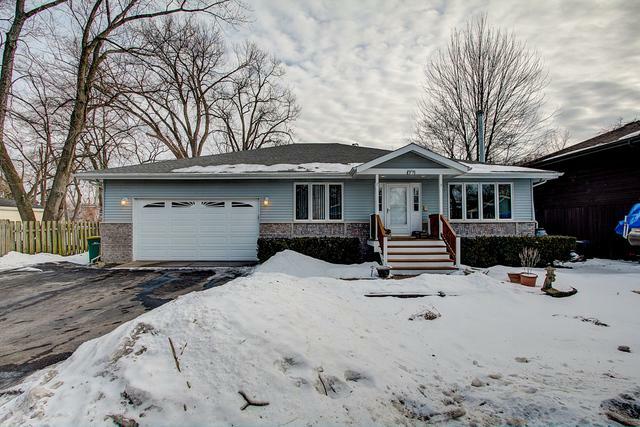 An updated true 4 bedroom house with a dedicated master bedroom and master bathroom. 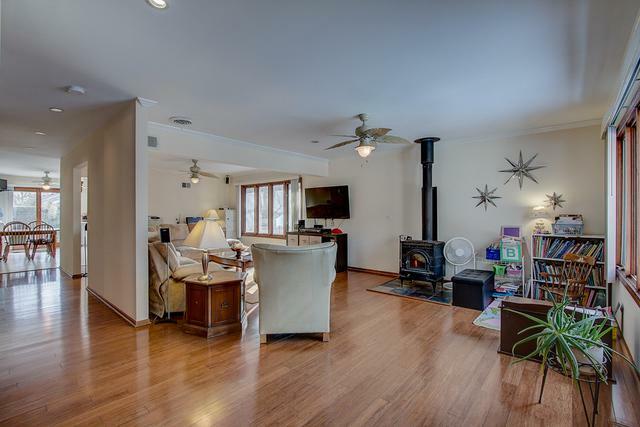 As you enter you are greeted by a huge open family room with inviting wood burning stove and gleaming bamboo floors. The eat-in kitchen has ample counter space and cabinets to spare! You'll also find a functional island and sliding doors to the backyard! The perfect layout for entertaining! 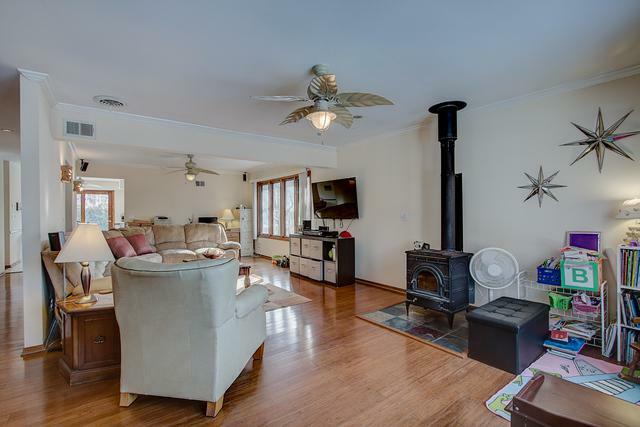 Oversized laundry/mud room and heated garage is a bonus! Newer roof and kitchen appliances. Cozy outdoor living space with fenced yard! Also around the corner from the Metra train station and a community park! Don't miss this lovely home!